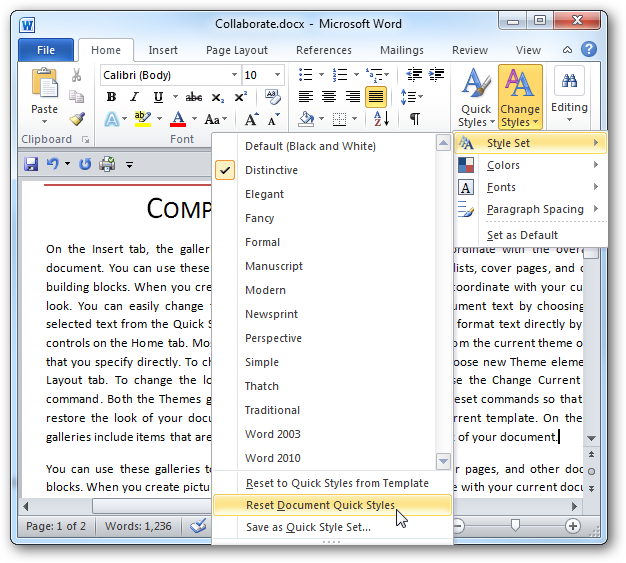 If you’ve switched to MS Word 2007 or 2010 from an earlier version, you’ll undoubtedly notice there is more space between lines of text by default. 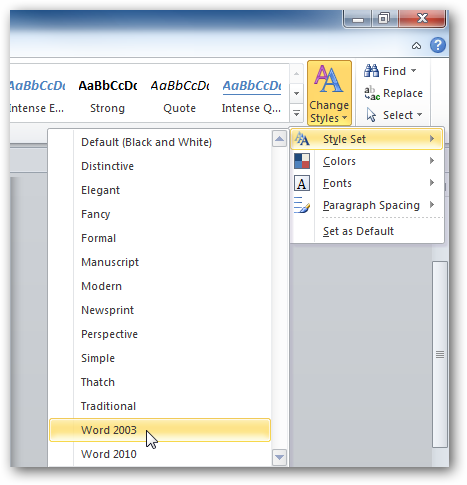 Here we’ll take a look at how to customize the line spacing in Word 2007 & 2010. 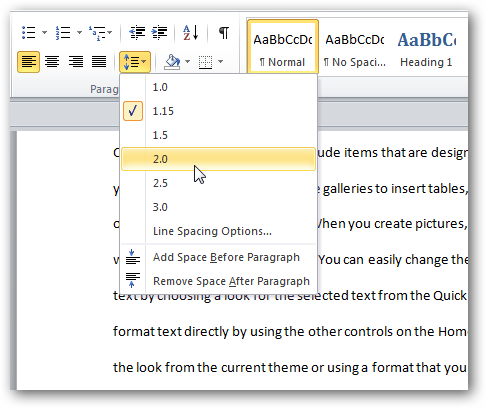 In Word 2003 the default line spacing is 1.0 which might be to compressed for some users. 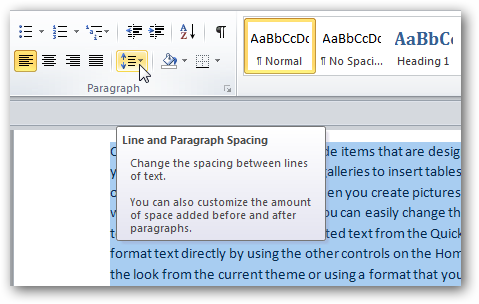 In Word 2007 & 2010 Microsoft changed the default line spacing to 1.15. Which might be ok for some users because the sentences don’t seem so crammed together, but you might want to customize it. If you want to change the spacing of an entire document, under the Home tab in the Styles group select Change Styles then Style Set. And here is an example of the Manuscript Style Set. Hover over any of the Sets in the list and the entire document will change. Once you find one you like just click on it. You might want to the Style Set to default to the one you choose every time you start a new document. To set it as default go to Change Styles then Set as Default. 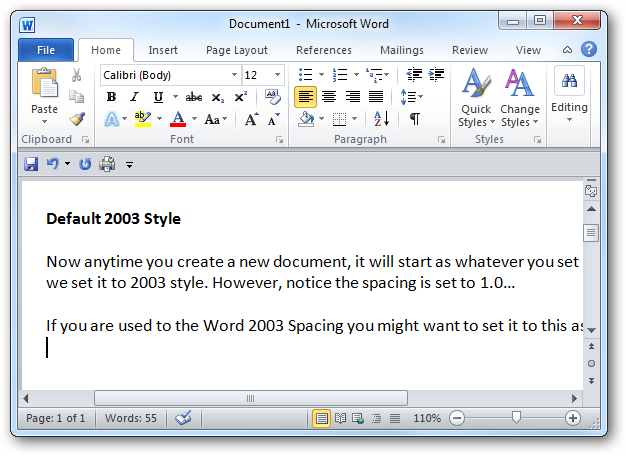 Here we set it to Word 2003 and anytime we start a new document, it will default to this Style Set with Spacing set to 1.0. If you only want to change the line spacing in select parts of a document, highlight the text to change. 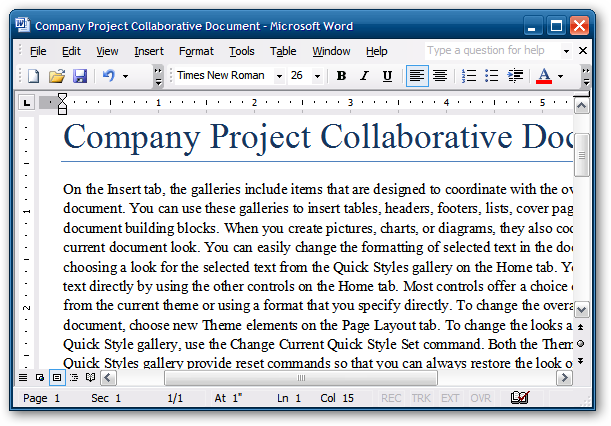 Then on the Ribbon in the Paragraph group click on the Line and Paragraph Spacing button. Then select the spacing you want. Again with Live Preview you’ll be able to hover over the different spacing options and see how it will look. If you select Line Spacing Options you can tweak it even more. It shows a small preview screen so you get a general idea of how it will look. If you want to change it back you can easily go back to the default. Just click go to Change Styles \ Style Set \ Reset Document Quick Styles. 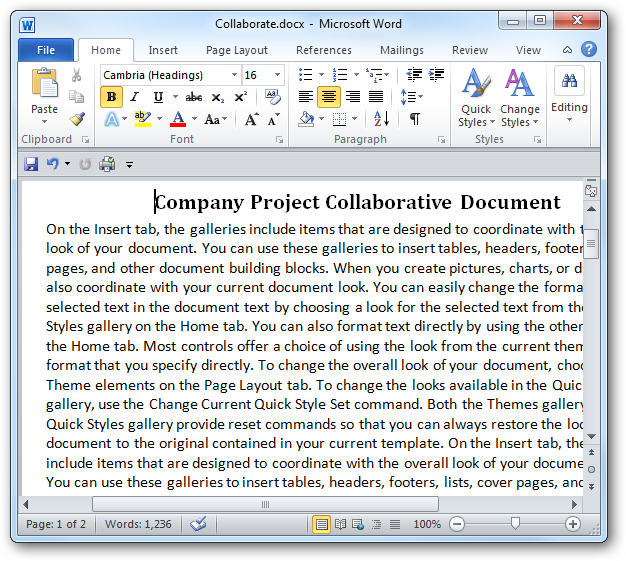 If you’re moving from an earlier version of Word to 2007 or 2010, you might want to change the line spacing and set it as default for all new documents. 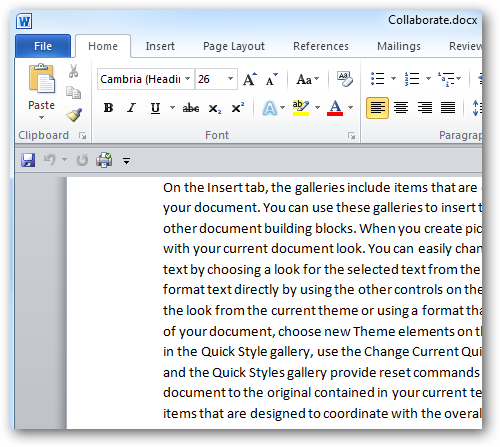 This will help you change the line spacing in specific parts of your documents as well. 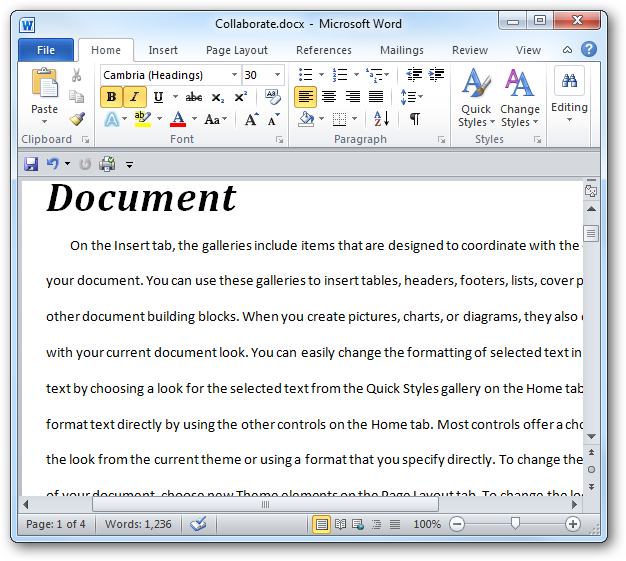 Here are some other articles that will help you out if you’re moving from Office 2003 to a new version.